#Healthy Recipe by: Jackie Keller of NutriFit, and author of Body After Baby (Avery/Penguin, 2006). Combine carrots and 1 cup broth in a saucepan; bring to a boil. Cover, reduce heat and simmer 15 to 20 minutes. Let cool slightly. Transfer carrots and liquid to container of an electric blender; cover and process until smooth. Transfer to a 3-quart saucepan; add remaining broth, pumpkin, evaporated milk, water, sugar, pumpkin spice, salt and ground white pepper. Cook over medium heat, stirring frequently, until hot; ladle into bowls. Nutrition Information per serving:(1 cup) 123 calories, 0.39g fat, 7.81g protein, 23.6g carbs, 4g dietary fiber, 379mg sodium. Healthy Recipe by: Chef Percy Whatley, The Ahwahnee, Yosemite National Park, Calif.
Place all ingredients except tarragon and yogurt in a 4-quart stock/soup pot. Bring to a simmer and cook, stirring occasionally, for 1 hour. Blend with immersion-style blender or a counter blender on high until smooth. Season with additional salt and white pepper. If too thick, add more vegetable stock. Blend in yogurt and adjust seasoning with salt and pepper if necessary. Garnish with whole tarragon leaves and, if you like, a dollop or swirl of yogurt. Healthy Recipe by: Christine Merlo, chef and professor at the School of Hotel & Restaurant Management at Newbury College in Boston. Wash and dry the cranberries. In a saucepan over medium heat, combine 1 cup of cranberries and the orange juice. Cook until the cranberries have burst and leaked their juices. Remove from the heat and allow to cool. In a food processor, combine the remaining 1/2 cup of fresh cranberries and the orange. Blend until the cranberries and orange are well minced. Add to the cooled cranberries and stir. Taste and adjust the flavor by adding some or all of the honey. Refrigerate until ready to serve. Optional garnish: Top with julienned orange peel or with a thin round of orange (with peel). Cut a notch and twist the orange round into a curl and place it on top. Nutrition Information per serving: (1 tablespoon) 32 calories, 0.8g fat, 0.5g protein, 10g carbs, 1.1g dietary fiber, 0.7mg sodium. In a large sauté pan over medium-high heat, heat the olive oil. Sauté the mushrooms and garlic in the oil until the mushrooms are tender, about 5 minutes. Add the scallions, rosemary, poultry seasoning, broth and barley and bring to a boil. Cover, reduce the heat to low, and cook, stirring occasionally, 45 minutes or until the barley is tender and the liquid is absorbed. Nutrition Information per serving: (1/2 cup) 113 calories, 0.25g fat, 2.5g protein, 19.5g carbs, 4g dietary fiber, 90.5mg sodium. Healthy Recipe by: Janet Bond Brill, Ph.D., R.D., L.D.N., author of Cholesterol Down (Three Rivers Press, 2006). Place potatoes in large saucepan, cover with water and bring to a boil. Reduce heat and simmer for 15 minutes or until tender. Drain and return potatoes to pan. Add chickpeas and mash using a potato masher. Add soy milk, chicken broth, margarine, salt and pepper and stir. Cook an additional 2 minutes, stirring constantly, until heated through. Serve warm. Top with commercial gravy if desired. Nutrition Information per serving: (1⁄6 recipe, approximately 1 cup) 255 calories, 5g fat, 7g protein, 46g carbs, 5g dietary fiber, 0mg cholesterol, 751mg sodium. Place sweet potatoes and parsnips in a medium saucepan and cover with water. Add a pinch of salt and bring to a boil over high heat. Reduce heat and continue to cook for 15 to 20 minutes or until vegetables are tender. Remove from heat. Drain, reserving cooking liquid. Add chicken stock or water, pumpkin oil, remaining 1/2 teaspoon salt, nutmeg, cinnamon and white pepper. Mash potatoes and parsnips with a potato masher until smooth. Add some of the reserved cooking liquid if the potato mixture is too stiff. Transfer mashed vegetables to a casserole dish that has been lightly coated with nonfat cooking spray. Cover and keep warm in a low oven. Serve hot. Nutrition Information per serving: (1 cup) 151 calories, 1g fat, 3g protein, 34g carbs, 5g dietary fiber, 49mg sodium. Cook rice according to package instructions using the apple juice and water for the cooking liquid. Place olive oil in a large skillet over medium heat. Cook all chopped fruits and vegetables in the oil until they are crisp, not soggy. Add cooked brown rice, bran, cranberries, almonds, any remaining apple juice, poultry seasoning, thyme and pepper. Toss well. Nutrition Information per serving: (3/4 cup) 193 calories, 4g fat, 4g protein, 38g carbs, 3g dietary fiber, 18mg sodium. Cut strings off both sides of the beans. Spray a medium cooking pan with nonstick cooking spray (i.e., Pam). Add the beans and cook on medium high until they begin to brown. Add the water, cover and cook approximately 10 minutes longer. Water should evaporate and beans should be moist to the touch. Add sliced almonds and cook until beans and almonds are slightly brown. Remove from heat and stir in garlic, salt and pepper. Squeeze lemon juice over all and serve. Nutrition Information per serving: (about 4 ounces) 80 calories, 1g fat, 4g protein, 13g carbs, 6g dietary fiber, 43mg sodium. Place flour and wheat germ in mixing bowl. Add corn oil and milk; mix lightly with a fork until moist. Roll out on lightly floured surface and place in pie pan sprayed with cooking spray. Preheat oven to 400 degrees. Combine apple juice and cornstarch until smooth. 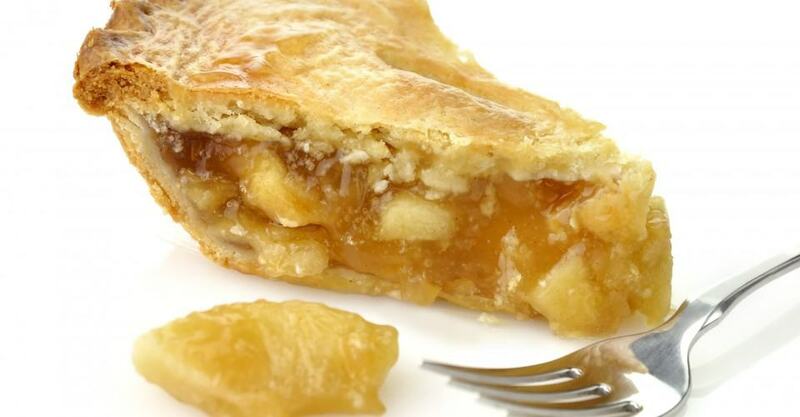 Arrange apple slices on pie crust in pan; sprinkle with cinnamon and nutmeg. Pour juice and cornstarch mixture over apple slices and mix carefully. Sprinkle granola over top and bake 45 to 60 minutes until bubbling and brown. Nutrition Information per serving: (⅛ pie, or 2 ounces) 257 calories, 10g fat, 4g protein, 40g carbs, 6g dietary fiber, 38mg sodium. Healthy Recipe by: Penny Block, co-founder and executive director of Block Center for Integrative Cancer Treatment in Evanston, Ill.
Preheat oven to 350 degrees. Lightly oil a 9-inch pie pan. Combine flour and salt in a large bowl. Add oil until coarse crumbs form. Add water, 1 tablespoon at a time, until dough forms a ball. Knead well. Roll out dough between 2 pieces of waxed paper to about 1/4-inch thickness. Carefully remove the top sheet of waxed paper and place dough in pie pan, pressing lightly but firmly around the edges. Using a fork, puncture the base of the pie crust, allowing the air to escape. Prebake the pie crust for 10 to15 minutes and remove from oven. While crust is baking, place pecans in a large bowl. In a medium saucepan, combine agave, maple and brown rice syrups along with vanilla, ginger and salt. Bring to a boil and simmer for 5 minutes, then remove from heat and allow to cool to room temperature. Grind flaxseeds to a powder in a coffee grinder. Combine arrowroot and soy milk with flaxseed powder and cooled syrup mixture, pour into blender and blend until smooth. Pour over pecans, mix well and pour into prebaked pie shell. Bake at 350 degrees for 25 to 30 minutes or until filling has thickened. Nutrition Information per serving: (2.625 ounces) 220 calories, 14g fat, 3g protein, 23g carbs, 1g dietary fiber, 1,250mg sodium.